Now you can do it exactly like this using AttributeCaching library. CacheableAttribute is translated to C# code behind the scene, which checks if the value is already in cache prior to execute the function. If the value is in cache already then it is returned immediately, and the function body is not even executed. If the value is not in cache yet, then the function is executed, and the value it returns is immediately put into cache. I.e. this is implementation of read-through caching. As a key to store and read values from cache, the attribute uses a combination of assembly name + method name + passing parameters values. So if you call a function with parameters, a different caching key will be used every time. Let's consider more complex examples. It often happens that you need to invalidate cached value immediately, before its time span expires. For example, you save something to database and you want that the cacheable function, which reads the database, returns new values and not the cached ones. Basically you want to purge your cache and ideally just the part required for the function. Here we tell that GetCars and GetCarById functions depend on "cars" tag. This example introduces a new attribute EvictCache. When you call UpdateCar() function, it invalidates all cached values with "cars" tag. I.e. after this function is done, the GetCars and GetCarById functions don't have anything in the cache. In this case UpdateCar will evict everything which has "cars" OR "cars_jp" tags, i.e. cache will be evicted for both GetCars and GetJapaneseCars. If cacheable value doesn't depend on all arguments of a cacheable function, you can use CacheIgnore attribute. In the example you dynamically change cache lifetime from predefined 10 minutes to 1 minute. If your cacheable functions is called from several parallel threads at the same time, and it is not cached yet, then you will end up with multiple threads doing the same operation and wasting precious resources. It's a pretty common situation for backend applications: once cache is expired for a heavily using function, avalanche of threads would stuck in that function. AttributeCaching library prevents parallel execution by default and locks other threads until the already working one is done with that function. I.e. if Thread1 calls F() and shortly after that Thread2 calls F(), Thread2 will be blocked until F() is done in Thread1 and in Thread2 it will be returned the already cached value. What is important is that locking will be done only in the case the function is called with exactly the same arguments. Have you ever tried to understand looking at your DLL what GIT branch it corresponds to? 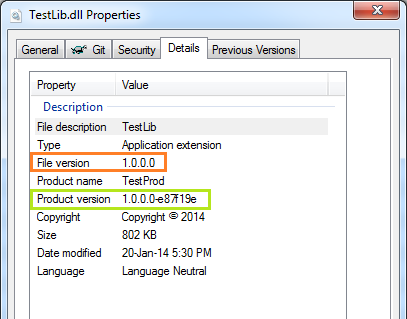 Have you been thinking if your commit is already in this DLL or not? There are already several solutions to do that automatically (you were not planning to maintain it manually, right?) in the Internet, but they have some drawbacks. Automatic update of AssemblyInfo.cs with every build will create a real nightmare in commits log. Using GIT hooks is not bad but you need to have hooks on every developer's machine. So ideally, we need something that would dynamically modify assembly version on each build. This solution appends commit hash to your assembly's version and puts it all together to AssemblyInformationalVersion attribute, so in your assembly file properties you would have something like "Product version: 1.0.0.0-e7f45a6". 1. Add MSBuildTasks using Nuget to your project(s). Anything from the version 1.4.0.65 would work. It dynamically creates GeneratedAssemblyInfo.cs file, extracts version from AssemblyVersion attribute, and adds current GIT commit hash before each build. And that's it! One place, no mess in your code with arrays validation, quick and neat. In my previous post I described how to make hardware connection between Raspberry Pi and Arduino. Now I will describe the software part. I will describe how to make software connection from scratch pretty easily. And I will use some C and C#. I use Arch Linux on my Raspberry Pi (more lightweight and appropriate distributive for this computer to my mind). But I2C drivers work the same way on other distributives, so, only some system specific commands could be different. To load the module automatically on boot, create file /etc/modules-load.d/i2c.conf and add line i2c-dev to the file. Where 1 is the number of I2C bus. The command should output table with addressed of all connected devices. But for now that table is empty as far as we haven't initialized the Arduino as an I2C slave. To work with I2C on Arduino you can use the standard library Wire. 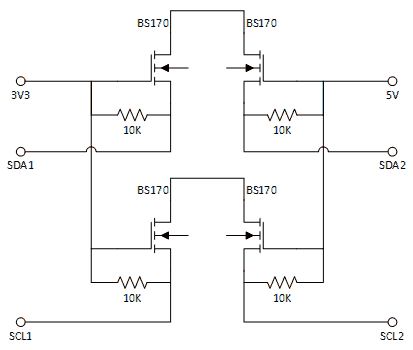 The code below initializes the I2C bus, reads sending data and sends data back. After uploading this code to Arduino we can get back to the Raspberry Pi. Now, after initializing the Arduino, i2cdetect command should show you that a device with address 42 is connected to the I2C bus. If that works, it's time to send some data from Raspberry Pi. I'm a dotNET guy, and I will use C# and Mono. And to work with I2C I use my library RPi.I2C.Net. The code below is the simple application to send and read data from the Arduino. Now it's time to create more complex communication. No limitation in ports. You can always use Arduino Mega, or even use an array of them. Physical separation of controller and Arduino. It's not that scary to burn another Arduino for $10 rather than Raspbery Pi for $35. And the most effective way to connect several Arduino and Raspberry Pi is I2C (or I2C to be precise). You need only 3 wires (4 in practice) to connect even several Arduino. It requires 4 N-channel MOSFETs (I used BS170) and 4 pull-up resistors (10K each). Another important moment is Arduino and Raspberry Pi need to have the common ground. So simply join the ground pins (and that would the the fourth required wire I was talking about earlier). 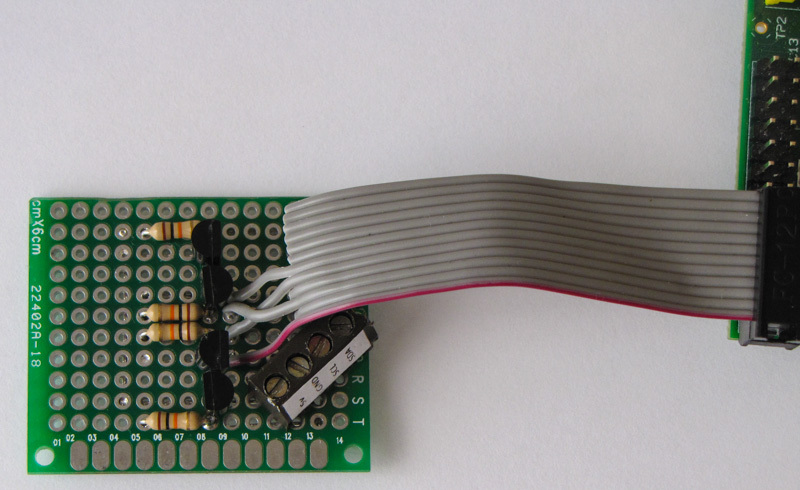 Scheme of pins for Raspberry Pi can be found here. And for Arduino SDA is A4, SCL is A5. That's it with the hardware part. In this post I describe the software part of connecting Arduino and Raspberry Pi.